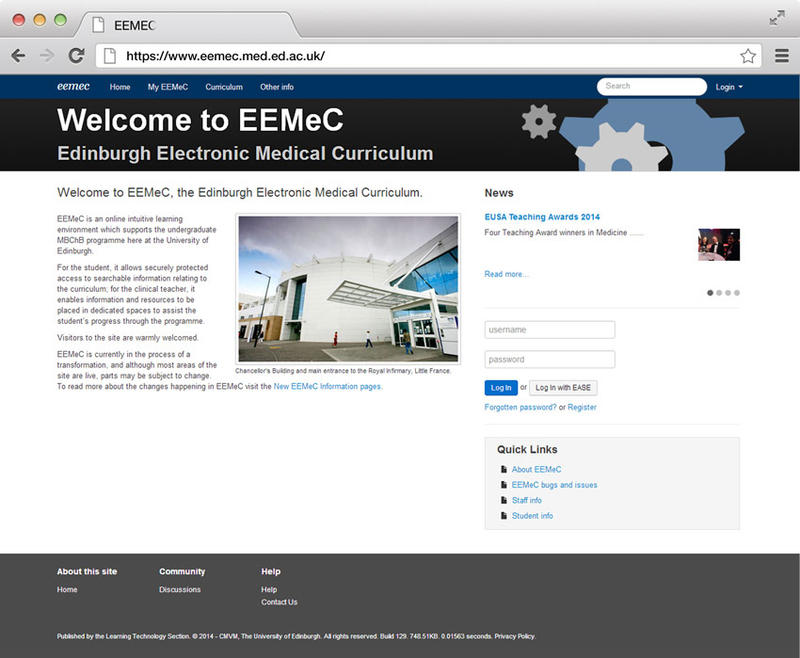 EEMeC, the university’s Virtual Learning Environment (VLEs) is an innovative, fully integrated, web-based learning support system for medical and veterinary education. Through the VLEs, staff are able to create and deliver online learning activities such as virtual ‘patients’ who require diagnosis and treatment, and manage learning resources, assessments and large quantities of course documentation. The system is a world leader in its area.